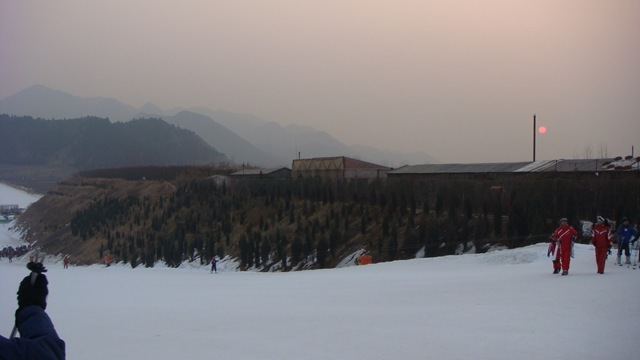 My family and I went to NanShan (南山), a man-made snow mountain at the edge of Beijing for our first lesson and experience in skiing on the fifth day of Lunar New Year. As it was our first lesson, we engaged two instructors to teach us the basic techniques involved before we could ski. 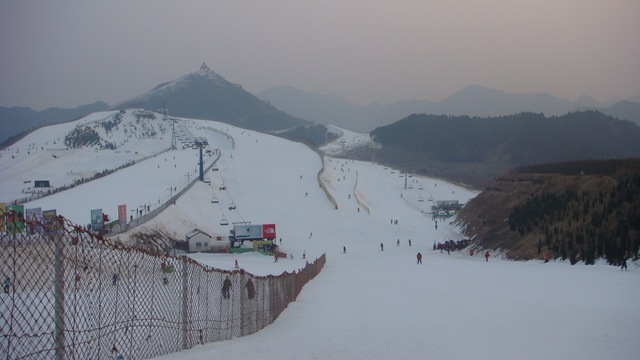 One of the instructors explained that kids will be faster in learning to ski than adults, and asked whether we would like to split the group into a pair of adults and a pair of kids, or having one kid pairing with one adult each. We decided to split the group into two kids and two adults, thinking that this would allow the kids to get the skills faster and enjoy on their own without an adult holding each back. Later on, I found out from the instructor that what she meant was that we should split the group by pairing one adult to one kid so that each instructor could start with the kid, then spend the rest of the time on the adult. Our arrangement makes it easy for one instructor (who taught the kids) and tough for the other . That’s the difference in thinking between the two roles–the instructor was thinking about how to split the load evenly but I was thinking about how to let the kids go ahead without us holding them back. In fact, her method will also result in the kids going off on their own first, but was misunderstood by me. But she offered two options without further explanation, and accepted our decision quietly. Another lessons in communications perhaps .